Looking for a weekend trip suggestion? Braga is always trendy and has the open doors to receive it! Young, modern, cosmopolitan, the city of archbishops have proposals for all tastes! Braga gathers a rich set of points of interest. 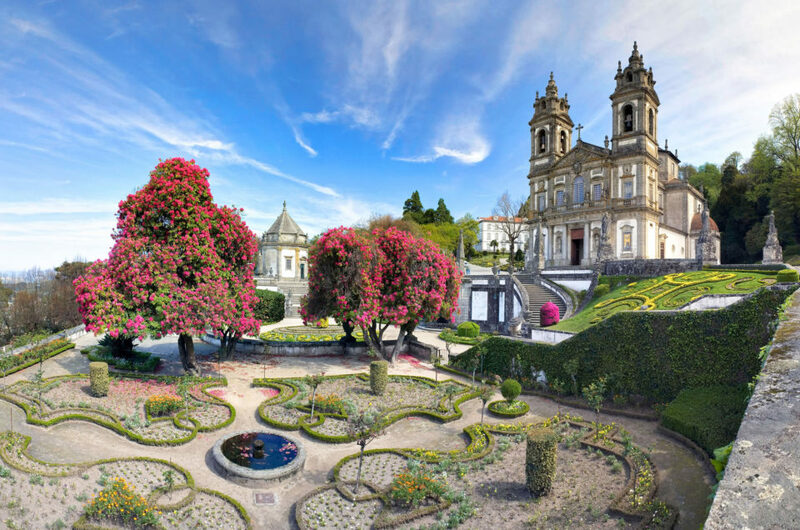 Take a sightseeing Braga tour around the city. There are several monuments of great patrimonial value. Mostly religious, but not only. Begin the walk through the pedestrian streets of the historic center, in particular, the Rua do Souto, where locals usually shop. On the outskirts, on the greener side of the city, do not miss the opportunity to visit the Sanctuary of Bom Jesus. Join the family and set out for a discovery. Take note of what you can not even miss doing on a weekend trip! Inaugurated in 1915, Theatro Circo was designed by the architect João Moura Coutinho, being the most important monument of Braga of the beginning of the century. It reopened in 2006 after seven years of requalification works. It is the largest cultural space in the city and is worth the visit to appreciate the beauty and sumptuousness of the Theater’s Noble Hall. The Brasileira is one of the oldest (already centennial) and beautiful cafes in the city. Let yourself land on the terrace watching the Arcade and the beginning of Avenida da Liberdade. 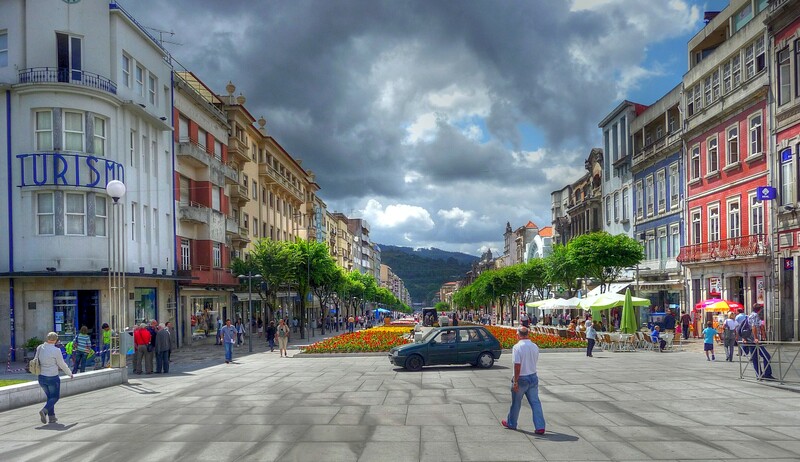 Do you know the popular expression “You are older than the Sé of Braga”? It originates from this temple, the most important of the city. This medieval monument has undergone several interventions throughout the centuries. From the thirteenth century onwards, several side chapels were added. In the seventeenth and eighteenth centuries, the Cathedral of Braga was the object of new interventions, to the baroque taste. The classification includes the tombs of Count Dom Henrique, Dona Teresa, Infante Dom Afonso and Archbishops Dom Gonçalo Pereira and Dom Diogo de Sousa. The “Jardim de Santa Bárbara” is considered the most romantic part of Braga and a pearl of the city. It stands out a true “Persian Rug” of natural flowers. In the center is a charming fountain topped with a sculpture of Santa Barbara. In the contiguous garden are some remains of the ruins of the old episcopal palace. Built in 1882 by the Swiss engineer Nikolaus Riggenbach, the Elevador do Bom Jesus was the first funicular railway in the Iberian Peninsula. It uses the water balance system, being one of only seven existing in Portugal and the oldest in the world in operation. If you want to climb to Sanctuary of Bom Jesus do not forget to do it in the elevator. There is no accident record. It is the ex-libbris of the city. Very beautiful, landscaped space with several flowering flowerbeds, trees, fountains, benches and a belvedere to provide an admirable panoramic view. 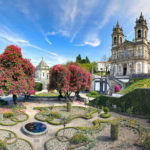 In the Sanctuary of Bom Jesus do Monte, it is also worth mentioning the small caves surrounded by flowers and vegetation, of great natural beauty. The church, in neoclassical style and was designed by the architect Carlos Amarante. It is in the final phase of restoration. In this house you will find one of the best known delicacies in the city. The frying pan is a meat puff pastry made with rolled minced veal. In the shape of a cake, some people delight in the snack for breakfast, lunch, snack or dinner! The Frigideiras do Cantinho are a kind of “all terrain” of the bracarenses delicacies. This unique flavored pudding will have been one of the few sweet recipes that the Abbot of Priscos conveyed. It ended up becoming one of the best known desserts in Minho. Stuffed with caramel, it has a particularity that distinguishes it from other puddings: the flavor of the bacon. Find out more in the page of the Parish of Priscos. On Christmas Eve, a few hours before dinner, people from all over the world go to this establishment to fulfill one of the most rooted traditions of the city of Braga: eating bananas in the company of a chalice of Moscatel wine. The tradition began accidentally in this store, named Casa das Bananas, three decades ago and, year after year, completely fills Souto Street. Even out of season, do not forget to try this combination. It ‘s easy to find the house, even because the store is one of the most peculiar of the street. It is the most famous Gelataria in the city of Braga and has already spread to other cities in the North. Spirito Cupcakes was born in the summer of 2011 and offers an alternative to traditional coffee, typical cakes and industrial ice cream. The ice cream is produced according to the Italian artisan recipe and is absolutely divine! 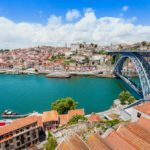 Porto Private Tours & Transfers is a sub brand of Meet Me at Porto an award tours & experiences company .